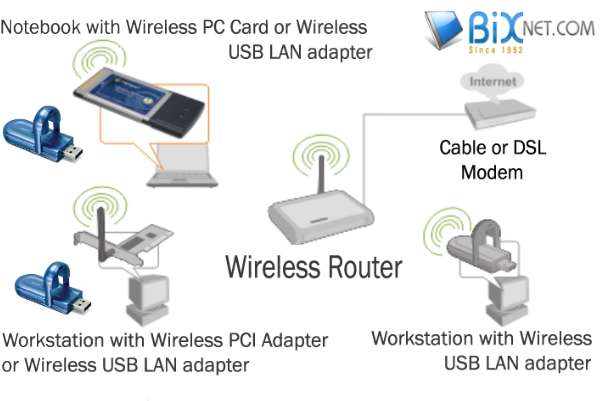 54Mbps Wireless CardBus PC Card allows laptop users the mobile freedom to connect at home, in the office or to wireless hotspots on the road. It complies with the IEEE 802.11g standard, making it backward compatible with 802.11b networks for assured compatibility as you roam between networks. Advanced 128-bit WEP encryption is supported to provide secure access for your data. Cut the wires and move freely with this 802.11g wireless products. *This picture is for purpose of showing how to insert a PC Card into a laptop/notebook computer PCMCIA slot. The PC card on the picture may not be the same product listed here. "revamping" our daughter's old lap top ( seems like we , the parents, are inheriting the children's "hand me down" electronics!) and wanted to go wireless-so found this online and just plugged it in ( after loading the software first) and it works great! Ease of use...,just "plug and play"